The problem with secrets is that they are eventually unearthed, resulting in uncomfortable revelations about the past. This is particularly upsetting when violence, abuse, and murder are involved — but it’s a necessary step in facing the truths of the present. Some of Canada’s secrets are brought to light in two recent books, which lead to two crucial questions about the future. More on this in a moment. 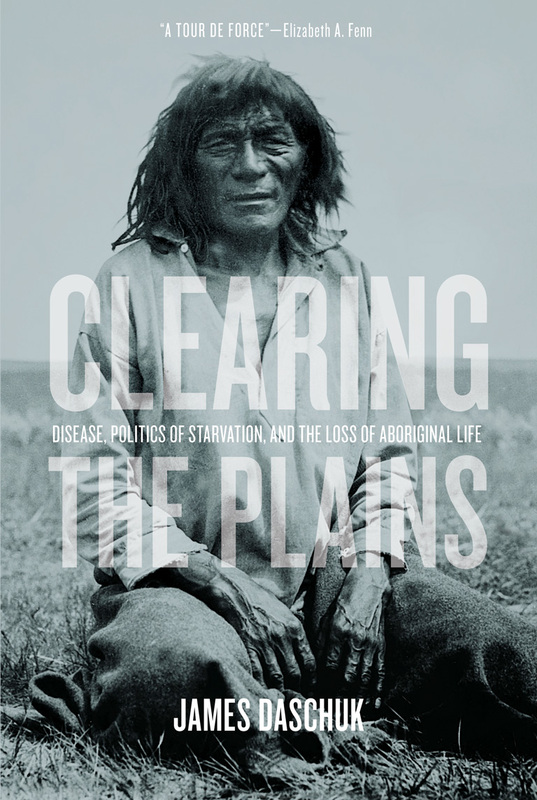 University of Regina kinesiology and health studies professor James Daschuk’s much-heralded Clearing the Plains is an intricate and well-crafted examination of the historical role of food and disease in the life of First Nations of Western Canada — communities like the Nakota, Dakota, Nehiyawak, Niitsitapi, and Anishinaabe. In a strong first chapter, Daschuk dispenses notions that indigenous sickness and starvation were “new” while gesturing to food security and political autonomy as reasons why these communities flourished for centuries before European contact. With impressive narrative style and research, Daschuk explores the devastating introduction of early pathogens to inland communities that struggled to contain the waves of diseases brought by European traders. At the same time, he shows how an insatiable worldwide demand for furs led to overharvesting, environmental degradation, and starvation and created an “ever-deepening crisis.” While many communities resisted and mobilized, wars and wide-scale animosity arose as food and medicine became scarce and an atmosphere of profound anxiety and nearconstant death created nearly insurmountable odds. In the book’s final chapters, Daschuk uncovers how early Canadian lawmakers exploited the very situation their ancestors had created. Specifically, he pinpoints both a coercive treaty-making process and then-Prime Minister John A. Macdonald’s widely supported policies of pacification and starvation as two main thrusts that “cleared the plains” and led to the Canadian Pacific Railway, forming the Canada of today. Daschuk also shows how, in the following years, Canada either refused to uphold treaty commitments or, in some cases, used provisions like tainted meat and medicine to maintain famine, uphold draconian control, and “create ecological conditions in which disease exploded.” This dramatically increased after the 1885 Northwest Rebellion, resulting in some communities being “punished to death.” Here Daschuk’s strongest evidence lands at the feet of men like Macdonald and Edgar Dewdney, Indian commissioner for the North-West Territories. Where Daschuk’s book leaves off, Osgoode Hall law professor Shelley Gavigan’s Hunger, Horses, and Government Men picks up in regard to Canadian criminal law. Meticulously studying records from the court of North-West Territories magistrate Hugh Richardson, Gavigan highlights two points: first, the extensive impacts of the introduction of Canadian criminal law in the western plains after 1870, and second, the specific ways First Nations peoples were able to utilize law and present arguments on their own terms. The first point is not as surprising as the second, but both areas challenge the notion that the Indian Act was the primary means by which indigenous peoples were criminalized — a claim scholars often accept as fact. Focusing primarily on the daily proceedings of lower courts — “low law” — Gavigan studies how indigenous people encountered the law once they had been charged with a crime. Unsurprisingly, it was a case of two colliding world views. But Gavigan takes great care to show how basic concepts like theft, assault, and even homicide are culturally constructed and lead to cases where the accused “found themselves criminally prosecuted for activities that a few short decades earlier would not have caused them to be prosecuted for anything, much less punished by the white man’s law.” This not only was a shock to the accused but systematically undermined a community’s ways of restoring relationships within its own cultural and judicial means. A great strength of the book is found in the latter chapters, where Gavigan describes how indigenous peoples manoeuvred within an imposed legal system. One chapter explains how indigenous informants, complainants, and witnesses introduced values that complicated court proceedings. This idea is extended in the following chapter, which explores how courts rendered some decisions that ran against assimilatory Indian policies. The final chapter, an impressive exploration into the treatment of indigenous women by the courts, gestures to a larger process of feminine subjugation and the complex ways property law crept into everyday existence. Gavigan’s care in showing a complex historical record is to be applauded. First Nations may not always have won cases, or had their views understood, but they were often heard, recorded, and had a measure of influence. Ironically, both books were shortlisted for the Sir John A. Macdonald Prize for the best scholarly book in Canadian history (Daschuk won) but would no doubt make Macdonald cringe from what they unveil about the insidious and genocidal nature of Canadian leaders, their policies, and their practices. The issue is what to do now that we know this. The first question one might ask is, why is this history so unknown? The documentation is clearly there, and First Nations historians have been relaying stories of starvation, legal impositions, and resistance for decades; it might just be that it takes a while for the academy to catch up and bring it to the country’s attention. Next we might ask, what is the ethical and responsible role of research that brings this content — and the violent and oppressive underbelly of today’s Canada — to light? In other words, a secret remains a secret if one doesn’t participate in meaningful change for the society in which one lives, especially if genocide is at its core. It’s simply not enough to write and read a book. One must act on this information. I look forward to what Daschuk, Gavigan, and readers of these outstanding two books will do next in redirecting this country towards a path of reconciliation that we all deserve.